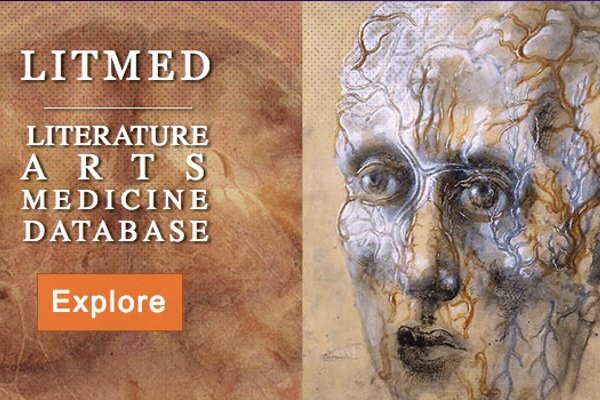 For writers/readers looking for leads to poetry, fiction, drama, film, and art concerning medical encounters and life passages, I recommend this literature database, which offers titles, annotations, and bibliographical information rather than complete texts. The term “short story” yields 633 results, while “pediatric cancer ward” yields four, including Lorrie Moore’s classic, “People Like That Are the Only People Here.” “AIDS” yields 184 results, topped by Susan Sontag’s AIDS and Its Metaphors. Literate searchers can count on surprises: works they might otherwise have overlooked. Recent and suggested titles are highlighted on the LitMed Blog, while The Bellevue Review: A Journal of humanity and human experience, also sponsored by the School of Medicine, regularly publishes original poetry, fiction, and memoir. In any case, he welcomes “the flood of words from other languages.” In a previous post, responding to the eclipse, he muses about the word, “lunula,” which means “crescent,” even if it describes the sun as partially blocked by the passing moon. “I did get a little moon, yes, but the moon I got was what I didn’t see, and the lunula I saw was what was not the moon. It was the sun.” Seeing the same shape at the bottom of his fingernails, he proposes a haiku: “toenails of the sun / in the branches songs of birds / can’t chase them away.” Followers regularly respond with interesting comments to his posts. He has a book of “salacious verse about English usage” for sale. His blogroll offers links to fifty-four kindred sites; and his archive of posts is organized as Recent, Top, and by Category (such as arts, BBC, editing, from the bookshelf, fun, word reviews, and more). The Critical Flame is a well-designed, restive, and provocative bi-monthly journal of criticism, literary nonfiction, and interviews. It was founded in 2008 by Boston-based poet, translator, and essayist Daniel Evans Pritchard, appears bi-monthly, and among its initiatives has dedicated a full year’s issues (May 2014–April 2015) to women writers and writers of color, and then this past April offered a special issue on motherhood guest-edited by Mia You & Chloe Garcia Roberts (aka A. Bradstreet): “Our gathering here includes artists alongside the poets; long-time contributors and new voices; essays on anticipation, loss, physicality, language and the literary heroes we answer to and hold sacred,” they write. Overall, Pritchard’s editorial outlook is distinctly millennial and backed by cultural studies, and his writers for the most part are well-credentialed and impassioned, if not widely known. Translations introduce global perspectives. Given a commitment “to encourage intelligent public discussion about literature and culture through long-form literary and critical essays,” sometimes the essays prove overlong and lightweight, but at their best—such as Patti Marxsen’s “This wave in the mind,” which artfully parallels the lived study of Virginia Woolf and To the Lighthouse with the author’s own life journey—they reveal a complex impetus, poetic density, and reach. Other standouts (for me) include Nicole DePolo’s review of Norman Mailer: A Double Life by J. Michael Lennon; an edgy conversation between Krysten Hill and Ruby Rose Fox; and “All That’s Left: The Art of Teresa Margolles” by Cynthia Cruz (featuring illustrations of Margolles’s paintings and installations, which have been touched or smeared by actual remains of murdered bodies). “When we are confronted with death or with the issue of Mexico, drugs, poverty, and violence, we flinch,” writes Cruz. “We react in empathy and understanding or else we turn away. In either case, we step into a semblance of knowing and then revert to the safety of death’s absence, proven by the representation of death before us.” At present, neither CF’s staff nor writers are paid. Founded in 2009 by Seattle-based Mark Armstrong, Longreads is “dedicated to helping people find and share the best storytelling in the world.” Mike Dang serves as Editor-in-Chief, supported by a relatively large staff. Editors’ Picks, Exclusives, and Originals (selected posts of nonfiction and fiction over 1,500 words) are free for everyone. However, for $5 per month or $50 per year, members can make recommendations and help fund “exclusives…from hard-hitting original journalism to excerpts from new and classic books.” For every $1 a member gives, WordPress.com gives three. Members have funded “essays from writers like Anjali Enjeti and Riyan Fergins, on-the-ground reporting from journalists like Sam Riches and Alice Driver, and ambitious literary projects like Maria Bustillos’ ‘George Saunders-Anton Chekhov Humanity Kit.’” Previously published stories are welcomed for Editors’ Pick consideration. 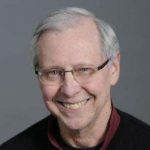 Among others, WTP contributing editor Richard Gilbert published “Why I Hate My Dog” here last year.